Are holographic storage systems the future of memory? It is a storage device which records binary information into one of holograms, then produces (as interfering patterns) on photographic or photo chromic media by the way of laser beams, which can be read by low-power laser beams. It is a technique that can store information at high density inside the crystals or photopolymers. The main advantage of a hologram is that it has an image to be dispersed over the recording surface. So, there is no chance of dust or scratches that totally obscures information though they may deduce the contrast. 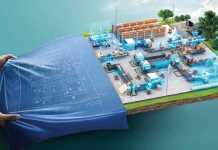 There are many attempts done on many projects to apply this technology but none of them been commercially successful. In a holographic memory device, a laser beam is split in two, and the two resulting beams interact in a crystal medium to store a holographic recreation of a page of data. HVD known as Holographic Versatile Disc which is an optical technology still in the development stage which holds up to four terabyte of information. It is a technique called as collinear holography, which contains two lasers, first red laser and another is known as blue-green laser which collimated in a single beam. The second laser i.e. blue-green laser reads the data programmed as on laser interference outer reaches from a holographic layer near to the top of the disc where the reference beam uses the red laser and to study the information of servo from a usual CD-style aluminium layer close to the bottom. 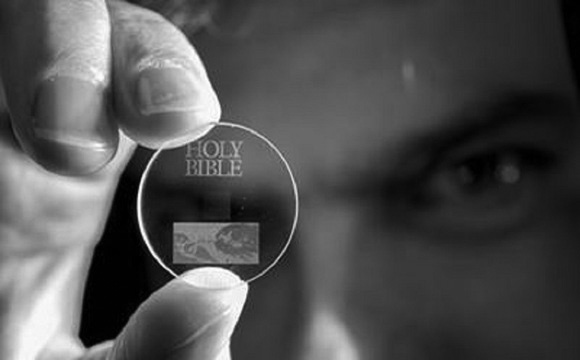 These discs have the capacity to load up to four terabyte of data, which approximately stores 6,000 times the capability of a CD-ROM, 829 times the capability of DVD, 159 times the competence of Blu-ray-Discs (single layer) and approximately eight times that of the standard computer hard drives as of 2007. These discs also had a transfer rate of 1GB/S. Holographic memory offers storage capacity of about 1 TB. Speed of retrieval of data in tens of microseconds compared to data access time of almost 10ms offered by the fastest hard disk today. By the time they are available they can transfer an entire movie in 30 seconds. Information search is also faster in holographic memory. Consider the case of large databases that are stored on hard disk today. To retrieve any piece of information you first provide some reference data. The data is then searched by its address, track, sector and so on after which it is compared with the reference data. In holographic storage entire pages can be retrieved where contents of two or more pages can be compared optically without having to retrieve the information contained in them. Also HDSS has no moving parts. So the limitations of mechanical motion such as friction can be removed. Resistance to damage – If some parts of the medium are damaged, all information can still be obtained from other parts. There are many possible applications of holographic memory. Holographic memory systems can potentially provide the high-speed transfers and large volumes of future computer systems. One possible application is data mining. Data mining is the process of finding patterns in large amounts of data. Data mining is used greatly in large databases which hold possible patterns which can’t be distinguished by human eyes due to the vast amount of data. Some current computer systems implement data mining, but the mass amount of storage required is pushing the limits of current data storage systems. The many advances in access times and data storage capacity that holographic memory provides could exceed conventional storage and speed up data mining considerably. This would result in more located patterns in a shorter amount of time. Another possible application of holographic memory is in petaflop computing. A Petaflop is a thousand trillion floating point operations per second. The fast access in extremely large amounts of data provided by holographic memory systems could be utilized in petaflop architecture. Clearly advances are needed in more than memory systems, but the theoretical schematics do exist for such a machine. Optical storage such as holographic memory provides a viable solution to the extreme amount of data which is required for petaflop computing. Holographic memory can be used as extended DRAM with 10ns access time, Hard disk drives, CD ROMs of large storage capacity and rock mounted of petabytes storage capacity. The research on holographic memory is taking place in well-guarded and rich companies like IBM, ROCKWELL and InPhase. InPhase claims to have developed a holographic memory of size slightly larger than a DVD. It has a capacity of about 100GB. They are trying to push it upto 1TB. IBM and ROCKWELL claims to have developed a recording medium less sensitive than lithium niobate crystals. Comparing the access times holographic memory lies midway between that of main memory and magnetic disk. Data transfer rate is 10GB/s which is higher than that of other storage devices and, storage capacity that is higher than both main memory and magnetic disk. Certainly if the issues of hologram decay and interference are resolved, then holographic memory could become a part of the memory hierarchy, or take the place of magnetic disk much as magnetic disk has displaced magnetic tape for most applications. The future of holographic memory is very promising. The page access of data that holographic memory creates will provide a window into next generation computing by adding another dimension to stored data. Finding holograms in personal computers might be a bit longer off, however. The large cost of high-tech optical equipment would make small-scale systems implemented with holographic memory impractical. Holographic memory will most likely be used in next generation super computers where cost is not as much of an issue. 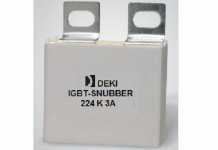 Current magnetic storage devices remain far more cost effective than any other medium on the market. As computer systems evolve, it is not unreasonable to believe that magnetic storage will continue to do so. As mentioned earlier, however, these improvements are not made on the conceptual level. The current storage in a personal computer operates on the same principles used in the first magnetic data storage devices. The parallel nature of holographic memory has many potential gains on serial storage methods. However, many advances in optical technology and photosensitive materials need to be made before we find holograms in computer systems.